pegg Classic – is our original model. 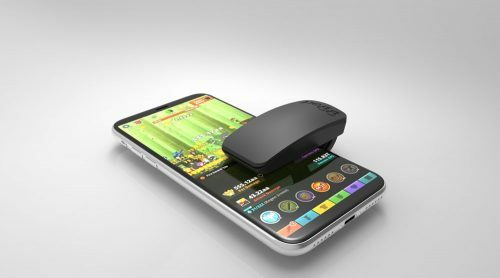 Conceived through a need to farm resources on popular gaming apps, electronically simulating a finger touch onto your screen and keeping you logged into your game for as long as you like, when ever you like. Our Classic model comes with a fixed slow rate tapping speed that cannot be changed. 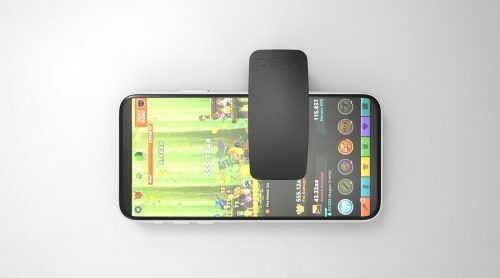 pegg is the worlds first stand alone automated finger touch simulator for use with capacitive touch screen devices such as Tablets, Mini Tablet, and Mobile Phones. It is attached to these devices by a universal flexi-clip, and is switched on and off by pressing and holding the front of the pegg in a mouse click type operation. A blue LED light will pulse which shows that the unit is switched on and operating, click the front again and a red LED light will flash confirming the device to be switched off. 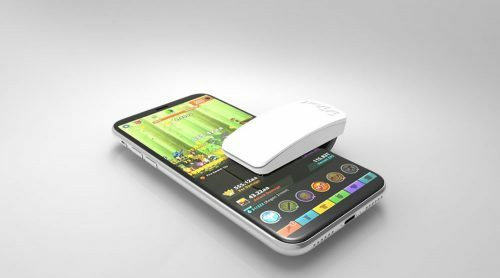 pegg will last up to 48 hours when fully charged, and will show a red LED light at the top rear of the device when the battery is low. Simply attach the micro USB lead (provided) and the red LED will remain on but switch off automatically when the unit is fully charged. This product is excellent!!!! Works great has saved me a ton of resources. Well worth the expense which isn’t a lot Very inexpensive. Works very well. Saved me a lot of time for work.